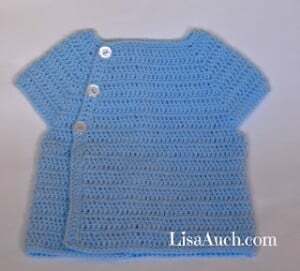 This adorable baby cardigan is perfect for a 3-6 month old baby boy or girl. It’s a simple pattern, but the style is fabulous and ideal for a baby shower gift. You will need a DK weight yarn and a 3.5mm crochet hook.